EV PREMIER!! 238 MILES ON A FULL CHARGE!! DRIVER CONFIDENCE II PACKAGE!! DC FAST CHARGE PROVISIONS!! INFOTAINMENT PACKAGE!! 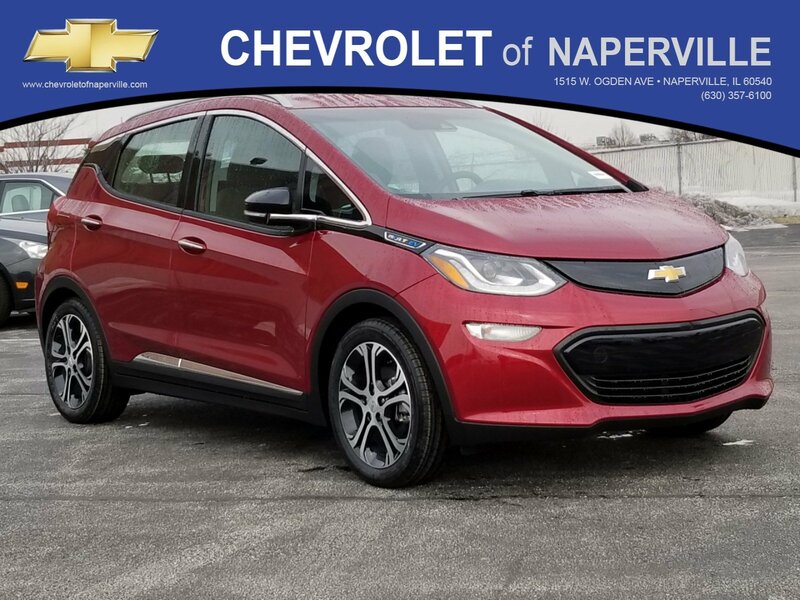 2019 CHEVROLET BOLT EV PREMIER, CAJUN RED TINTCOAT ON DARK GALVANIZED GRAY HEATED LEATHER SEATING, 8 YEAR OR 100,000 MILE EV COMPONENT WARRANTY!! LETS GO OVER ALL THE OPTIONS ON THIS GAME CHANGER!! BLACK BOWTIE EMBLEMS!! DRIVER CONFIDENCE II PACKAGE INCLUDES: INTELLIBEAM HEADLAMPS, FOLLOWING DISTANCE INDICATOR, FORWARD COLLISION ALERT, LANE KEEP ASSIST WITH LANE DEPARTURE, FRONT AUTOMATIC BRAKING WITH PEDESTRIAN DETECTION….INFOTAINMENT PACKAGE INCLUDES: WIRELESS CHARGING FOR YOUR SMART PHONE, 7-SPEAKER PREMIUM BOSE SOUND INCLUDING SUBWOOFER, USB -CHARGE ONLY PORTS…..4G WI-FI HOTSPOT, HEATED STEERING WHEEL, SURROUND VISION INCLUDING REAR VISION CAMERA, DRIVER INFORMATION CENTER WITH 10.2” COLOR DISPLAY, APPLE CARPLAY AND ANDROID AUTO CAPABILITY, STEERING WHEEL CONTROLS WITH AUDIO AND CRUISE, CONTROLS, 17” ALUMINUM WHEELS, REMOTE VEHICLE STARTER, EZ KEY PASSIVE ENTRY SYSTEM WITH PUSH BUTTON START, ALL LOADED UP AND READY TO SAVE YOU SOME GAS $$!! COME ON IN TODAY AND TAKE THIS LOADED UP PREMIER FOR A SPIN AROUND OUR CHEVROLET OF NAPERVILLE TEST TRACK!! 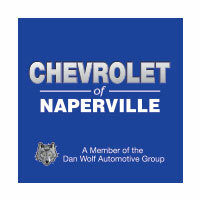 FIRST ONE HERE WINS….FIND NEW ROADS HERE AT CHEVROLET OF NAPERVILLE!! EV PREMIER!! 238 MILES ON A FULL CHARGE!! DRIVER CONFIDENCE II PACKAGE!! DC FAST CHARGE PROVISIONS!! INFOTAINMENT PACKAGE!! 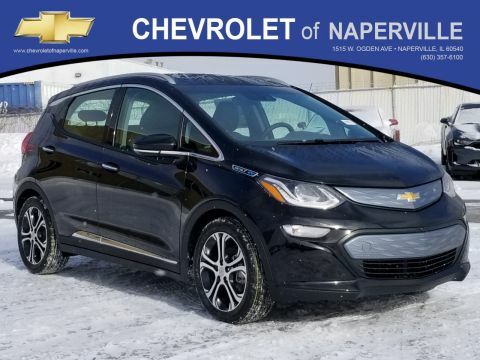 2019 CHEVROLET BOLT EV PREMIER, CAJUN RED TINTCOAT ON DARK GALVANIZED GRAY HEATED LEATHER SEATING, 8 YEAR OR 100,000 MILE EV COMPONENT WARRANTY!! LETS GO OVER ALL THE OPTIONS ON THIS GAME CHANGER!! BLACK BOWTIE EMBLEMS!! DRIVER CONFIDENCE II PACKAGE INCLUDES: INTELLIBEAM HEADLAMPS, FOLLOWING DISTANCE INDICATOR, FORWARD COLLISION ALERT, LANE KEEP ASSIST WITH LANE DEPARTURE, FRONT AUTOMATIC BRAKING WITH PEDESTRIAN DETECTION....INFOTAINMENT PACKAGE INCLUDES: WIRELESS CHARGING FOR YOUR SMART PHONE, 7-SPEAKER PREMIUM BOSE SOUND INCLUDING SUBWOOFER, USB -CHARGE ONLY PORTS.....4G WI-FI HOTSPOT, HEATED STEERING WHEEL, SURROUND VISION INCLUDING REAR VISION CAMERA, DRIVER INFORMATION CENTER WITH 10.2'' COLOR DISPLAY, APPLE CARPLAY AND ANDROID AUTO CAPABILITY, STEERING WHEEL CONTROLS WITH AUDIO AND CRUISE, CONTROLS, 17'' ALUMINUM WHEELS, REMOTE VEHICLE STARTER, EZ KEY PASSIVE ENTRY SYSTEM WITH PUSH BUTTON START, ALL LOADED UP AND READY TO SAVE YOU SOME GAS $$!! 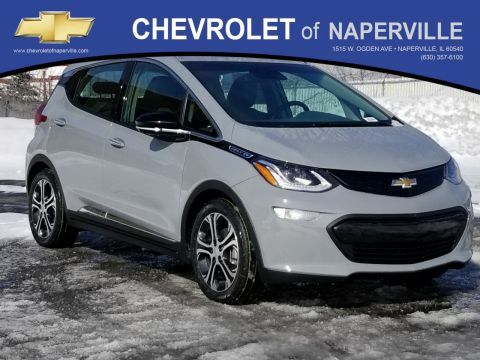 COME ON IN TODAY AND TAKE THIS LOADED UP PREMIER FOR A SPIN AROUND OUR CHEVROLET OF NAPERVILLE TEST TRACK!! 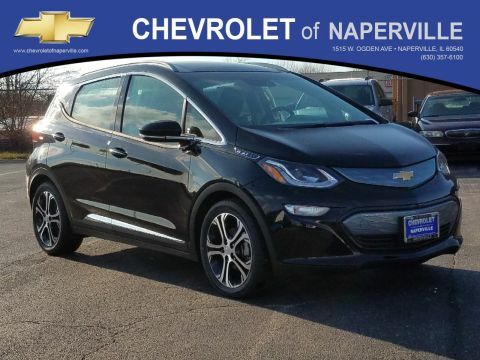 FIRST ONE HERE WINS....FIND NEW ROADS HERE AT CHEVROLET OF NAPERVILLE! !